I love Brunello di Montalcino. But the wines can be beastly. Luckily, Italy created Rosso di Montalcino DOC in 1984. With only a year of aging, six months minimum in barrel, winemakers could keep the lights on while their Brunello waits for four years, FOUR YEARS! Just imagine not getting paid for 2016 until 2020. What does the shorter Rosso time do for us? It creates lighter, fresher, younger (cheaper) reds just in time for Spring. But youth need not short us on experience. Since 1352, yes, 1352, Fattoria dei Barbi has produced fantastic Sangiovese. What were you doing in 1352? Well, the Renaissance had yet to happen. The Colombini family built the actual estate in 1790, having just built the castle Banfi (yes, that Banfi, who would later move in to it). 2012’s Rosso comes from their 100 acre estate: rich in clay and sand. They make 8,000 cases. APPEARANCE: Clear, looking like a Japanese maple leaf, with medium intense ruby color core, with red highlights, tinted on the edges in terracotta. AROMAS: Complex, medium plus intense dried anise and dried lavender lead, tart wild red cherry forms the core, while light volcanic ash and black pepper frame it. PALATE: Dry, medium plus orange peel acidity, medium tannins, medium 13.5% alcohol, medium body, silky, lean texture. FLAVORS: medium plus intense but not overwhelming flavors of tart cherry, dried herbs like lavender, come dusted by volcanic ash minerality. The finish is medium plus. 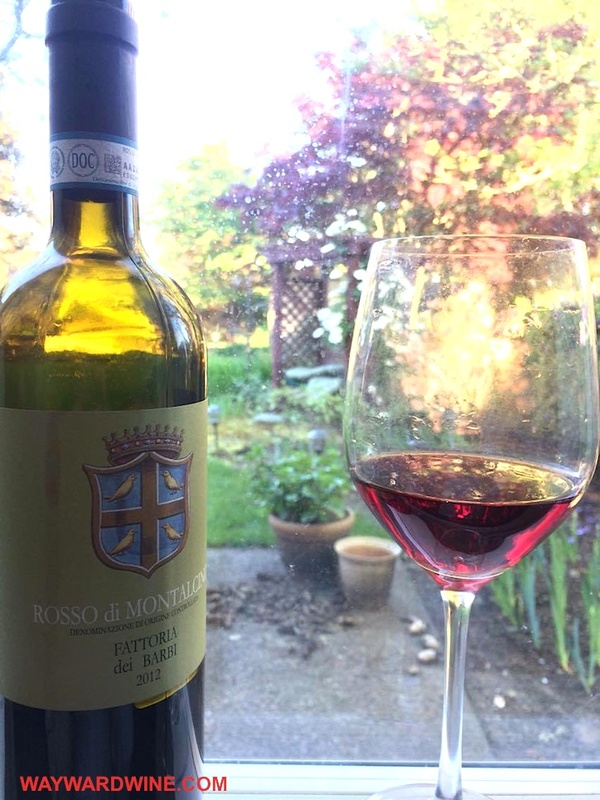 Barbi’s 2012 Rosso di Montalcino is bright, light, and refreshing but not simple: Very good (4 of 5). One could give it a light chill and its mild tannins would not complain. Alone or with a simple tomato pasta, Greek salad, or wedge of twangy pecorino cheese, this is the perfect wine as Spring climbs into the 70s and 80s Fahrenheit. 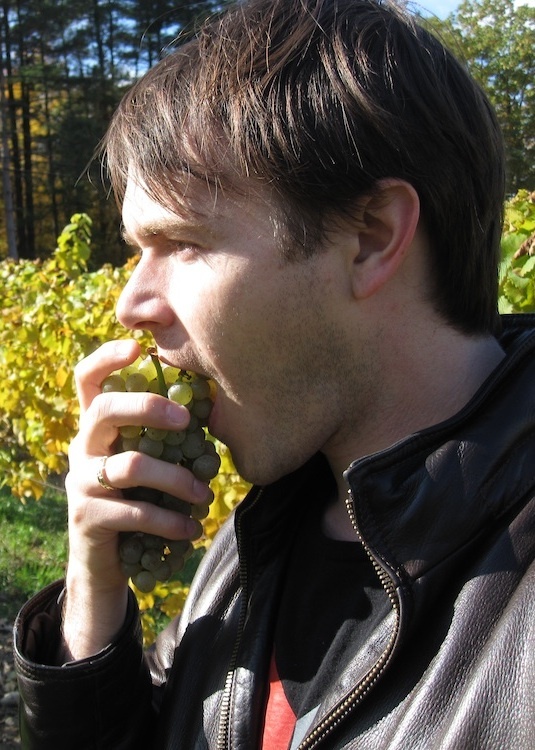 This entry was posted in Uncategorized and tagged Barbi, Sangiovese, travel, tuscan, Tuscany, wine. Bookmark the permalink.